tvN drama series Shut Up Flower Boy Band is releasing its 5th original soundtrack (OST) on March 12th, 2012. The title of the Shut Up Flower Boy OST part 5 is Love U Like U. 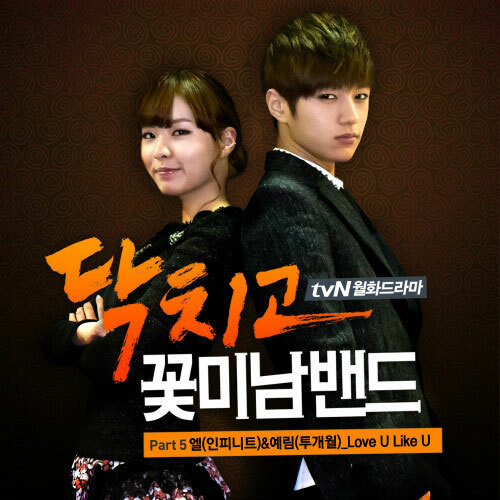 The song is sang by the main actor and actress in leading roles in the drama – L of Infinite (엘 – 인피니트) and Kim Ye Rim of 2 Months (예림 – 투개월).